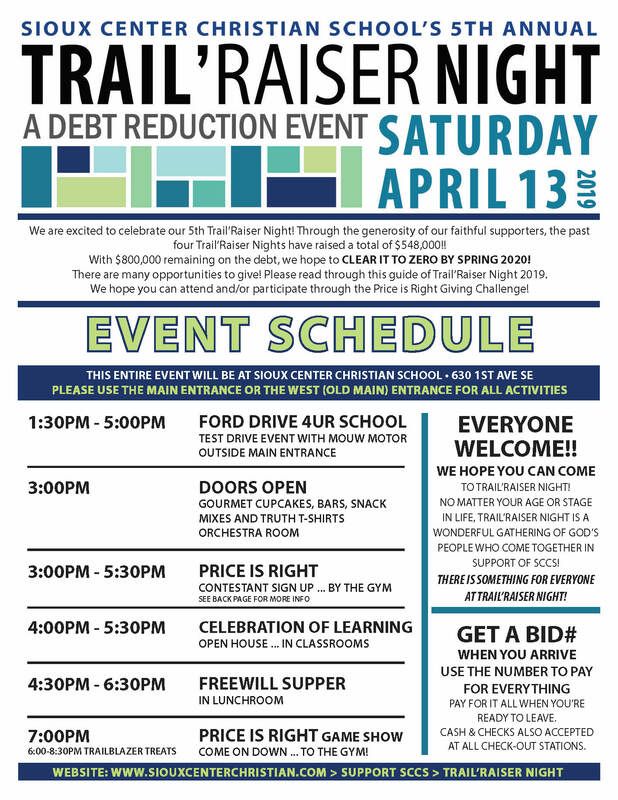 Our 5th Annual Trail'Raiser Night is Saturday, April 13, 2019! All proceeds from this year's event will help reduce the $800,000 debt remaining on our building expansion project. We are so thankful for the $6.8 million 25,000 sq. foot addition, which added 10 classrooms, 2 music rooms, a new administrative office area and inclusive education spaces. 5,000 sq feet of existing space was also remodeled. Campus security, student safety, and handicap access throughout our entire facility was greatly improved. The expansion, which was completed in 2015, has also made way for our school to add tier 3 services, which allows us to include as many children with varying needs as we possibly can in Christ-centered education. 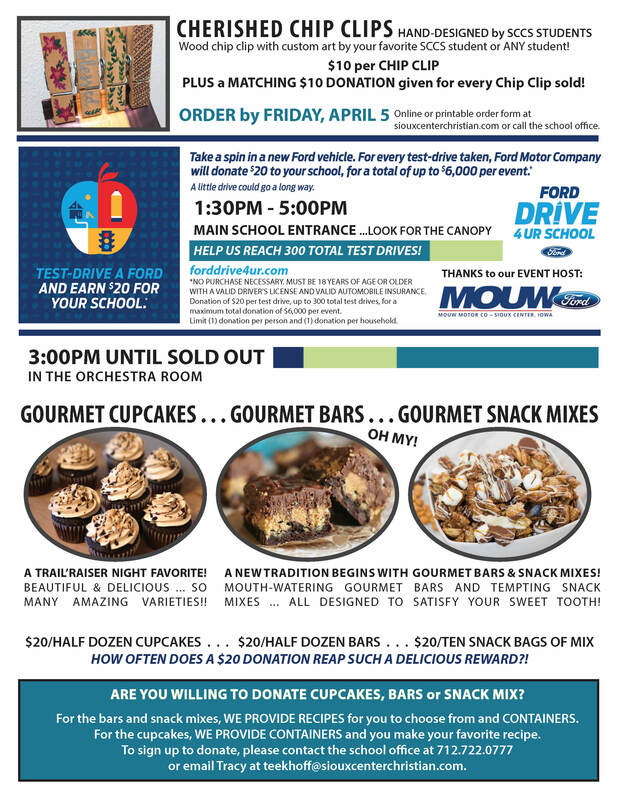 Trail'Raiser Night 2019 will center around a FUN game show, The Price is Right, but will also feature our famous Gourmet Cupcake Stand, plus Gourmet Bars and Snack Mixes, Truth T-shirts, Celebration of Learning Open house, Freewill Supper and a Ford Drive4U event hosted by Mouw Motor. 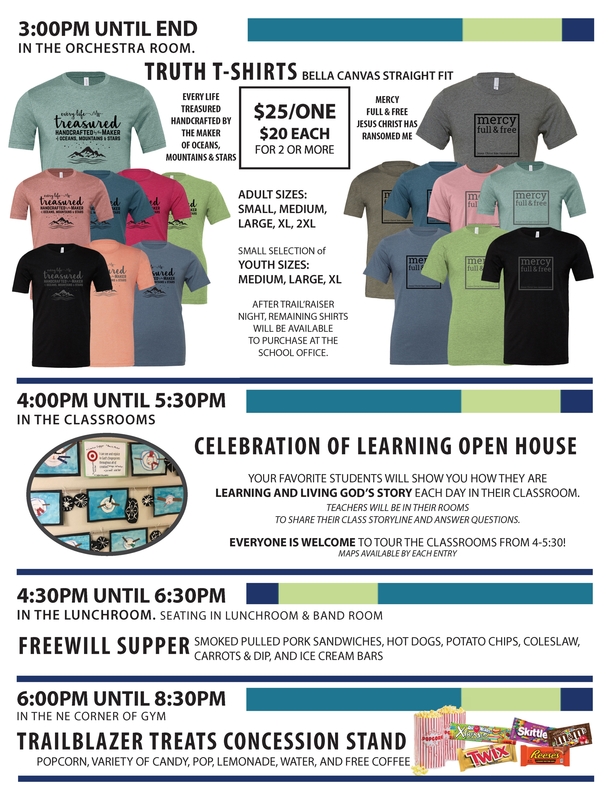 There is something for everyone at Trail'Raiser Night! BIG NEWS!!!! 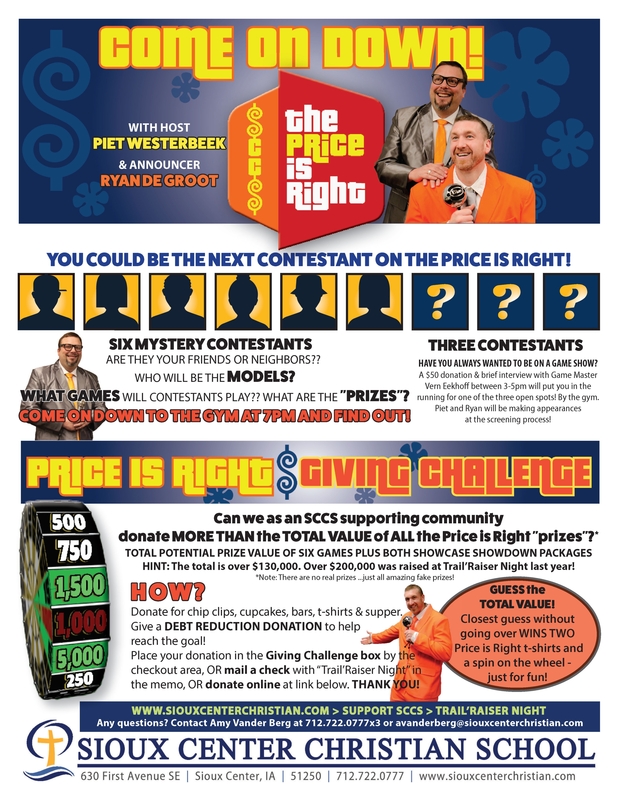 Click on the image for all the info on the Giving Challenge!